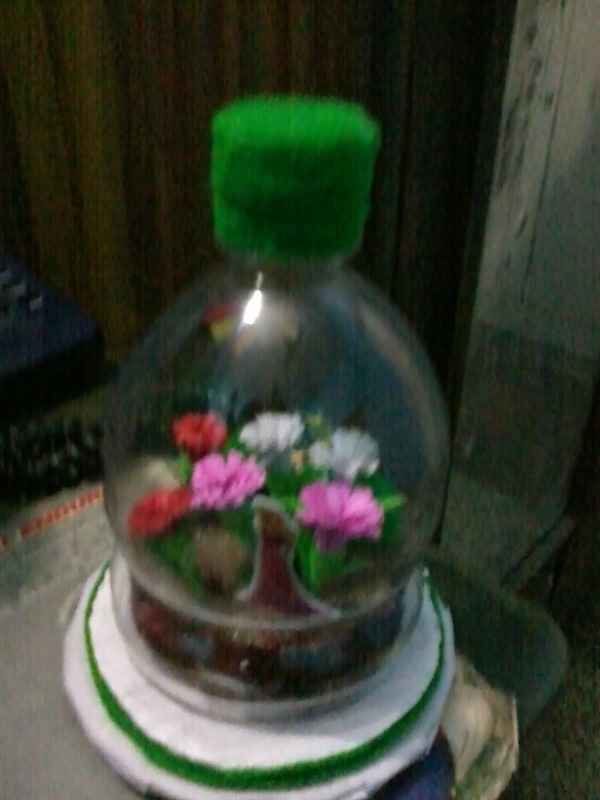 I used chart paper to make carnation flowers.I covered bottle cap with wool. 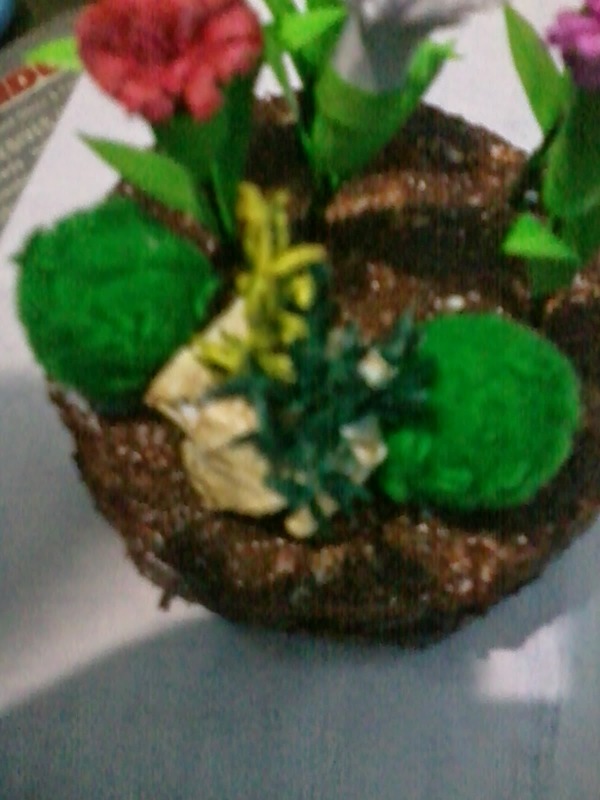 For garden base I used thermocol. 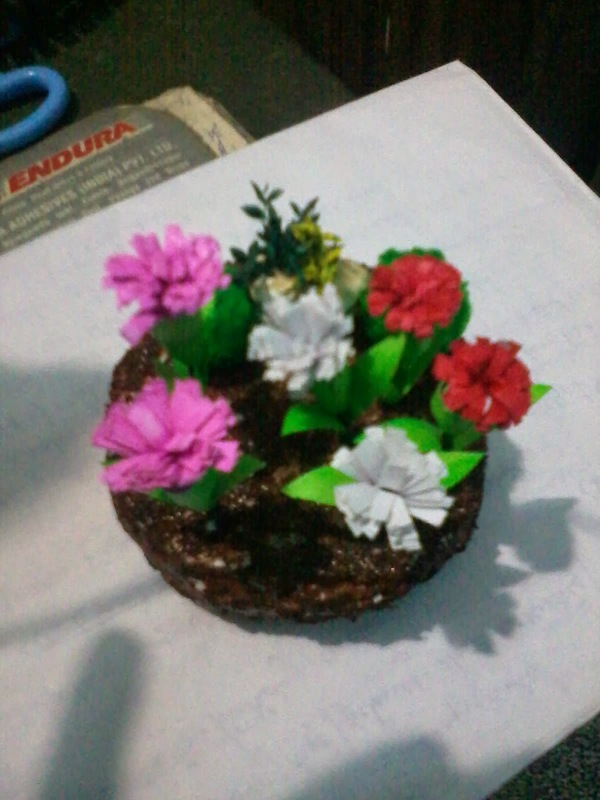 For rock I used stones from a aquarium .For grass I used dry grass. For moss rock I covered big bead with green wool cut into tiny bits. 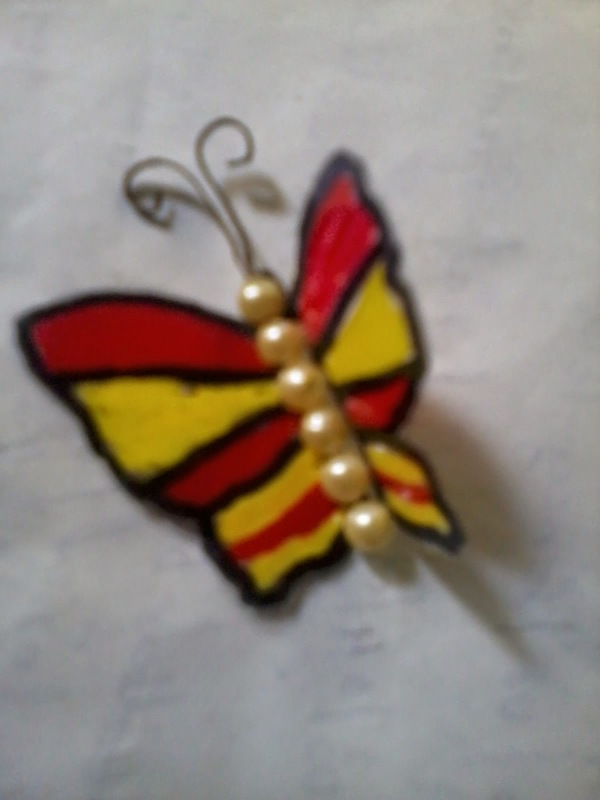 For butterfly I used acetate sheet.Used acrylic colors. 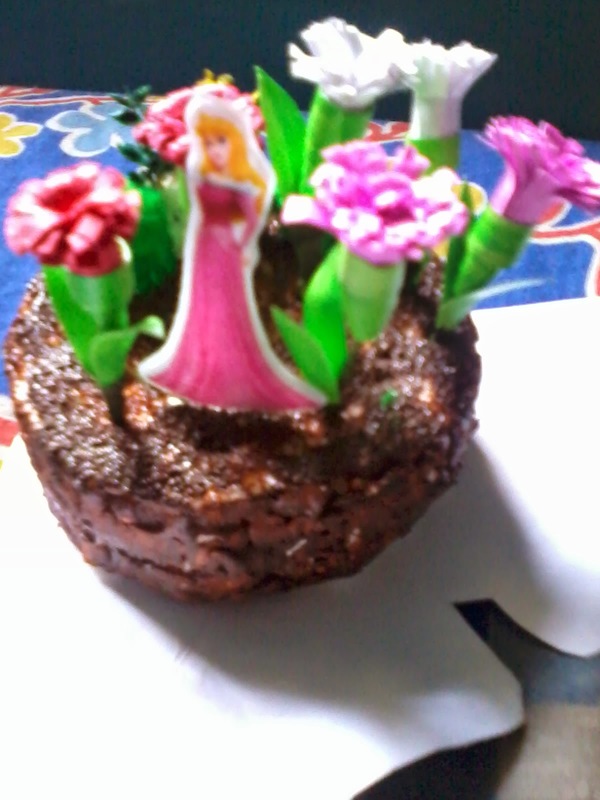 I stick a Disney Princess sticker in between the flowers. I have used pink ,red ,white and green color.